Games, drugs, risks, and lots of illegal money....that is what Janac was made of, and what he underhandedly pulled Martin into whether Martin wanted in or not. Martin had flown to Thailand because of his guilt from a traffic accident, a girl, and the loss of his lucrative job. Martin had been a successful financial banker until an accident that ruined his life. He wasn't in this accident, but he had been the cause of it and the cause of the deaths of eighteen people. You will like Martin and feel his agony and concerns about what he unintentionally got himself into with Janac and how he realizes there is no way out. Janac is someone you at first think is going to be a good friend since he saved Martin from some thugs. It turned into exactly the opposite...Janac was evil and someone to be feared and someone who made it lethal and fatal if you didn't comply with his requests. You will hate Janac as quickly as you were thankful for his appearing on the scene to rescue Martin. Janac is a player of dangerous mind games. The "games" Janac plans for Martin and others get more dangerous each time, and Martin can't escape Janac's grip and power. Much to Martin's disgust, the games continue with nothing he can to do but comply. The first and recurring game Martin's fate was hinging on was a game called: The Prisoner's Dilemma. This game involved decisions of choosing to care only for oneself or caring for others with major consequences for either choice. Janac's games were a means of control that gave him the power he wanted and gave his "victims" no choice but to play along. 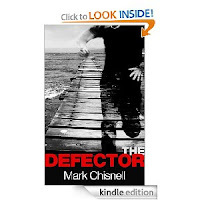 THE DEFECTOR is an outstanding thriller right until the last page...you never know when Janac or any of his counterparts may appear or who really is working with him. It is all about control, cruelty, and payback in the name of money and drugs. You will follow Martin through all of the terror and hope he makes the correct decision in Janac's games. This book has a decision after decision plot.....decisions that yield only an outcome of life or death.....nothing in between. 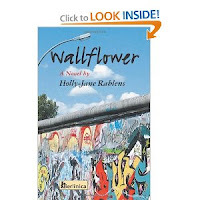 Molly Lenzfeld always considered herself a wallflower. She said no one ever asked her to dance or paid attention to her since she was so tall. Coming from New York City and being in Berlin while her father was working as a theoretical chemist was an adventure for her in more than one way. On Thanksgiving Day, she was on her way to see where her mother had lived as a child. She was not to be gone the entire day, but as she rode the subway system, a handsome young man caught her fancy and she caught his. The book tells of their day and how Molly turned a trip to visit the town where her mother lived into a love story. The book is a quick, sweet read. You get to experience the emotions Molly experiences as she is with this stranger whom she feels is her real first love. 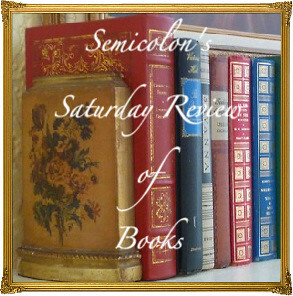 The author did a great job with conversation which made up the most of the book. I really enjoyed the chapter titles....they were clever and stretched your imagination concerning what was going to happen in the next few pages. You will love Molly...a sweet, innocent character who wears her emotions on her sleeve. Mike her friend from the subway is an interesting character as well. He is unique in his dress, his humor, and his manner. I would recommend this to anyone who has an interest in love...and that would probably be just about all of us. 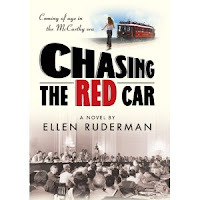 A book about politics, a young girl's life, her liberal attitude, and US history during the McCarthy Era. Kim's liberal attitude started at home. She called her parents by their first names without any objection from them, but even though Kim was free to call her parents by their first names, she had to walk on egg shells because of her mother. She never knew what would set her off. Her parents' constant fighting was very unsettling for Kim and her younger sister. The summer before Kim was to enter high school, her father had a job change, and a move was necessary. Their move from New York to California was quite traumatic for Kim, but her mother was excited. The move/drive to California actually was a humorous part of the book. When they did arrive at their new home, not much had changed with her parents, and the teenage concern about school and finding friends was utmost in Kim's mind. She did find a good friend with whom she shared adventures….they remained friends into adulthood. Kim commented: "No matter how bad things get at home, when I'm on this trolley and were going someplace, life is good." Page 55. School also became a haven for her writing and for her political views that were published in a school newspaper. Her haven became as chaotic as her home life after tragedy struck her favorite teacher, Mr. Samuels. High school ended, and Kim enrolled in UCLA. The troubles at home continued, but she met a man who helped her through them and through school. He made her forget what was going on at home and what had made her the way she has been her entire life. Lucien made her realize she had to live her life and complete whatever she needed to do for herself. He was the love of her life and she of his….so they thought. The book moves through Kim's life at the university and then jumps forward to her adult life. She had a great deal of heartache in her life because of family problems...tissues needed at times. The story of Kim Lebow kept my interest for the most part, but since I am not political or liberal, portions of the book were not to my liking. The storyline veered away from liberalism as it moved into Kim's adulthood and was on a more personal level, but then her life and the story came full circle and many answers were revealed to her. The book was very well written and brought attention to social as well as mental issues which can ruin lives. Not sure what to rate it....I liked the personal level, but truly didn't like the political and liberal aspect.